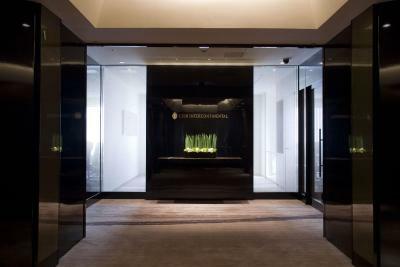 Lock in a great price for ANA InterContinental Tokyo – rated 8.1 by recent guests! Nice view as requested on 31st floor. Small but Great bathroom! Nice location. Many restaurants in the hotel (although expensive) but also near the hotel cheaper. Very nice , polite and efficient staff! Good WiFi. The room was spacious and very comfortable bed, pillows. Great and complete breakfast. Perfect location. Very good range on buffet breakfast, well-prepared and nice fresh ingredients. Lovely service with very helpful concierge. All staff spoke excellent English. Rooms were very nice, clean and well maintained if a little tired. Being located centrally in Tokyo it's easy to travel around on the subway from this hotel as your starting point. The location was very convenient, near the metro, and convenience stores. The staff all spoke English and were extremely helpful in helping us find our way around Tokyo. The bed was comfortable and the breakfast buffet was very good! The staff were great. Very professional and friendly. Excellent food and service. Booking Club Intercontinental for relaxing with complimentary finger foods and free flowing beverages made our stay so much more convenient and comfortable. Good breakfast buffet, nice staff and clean rooms. Excellent breakfast, cute yukata in room, toilet with bidet, great view of city! ANA InterContinental Tokyo This rating is a reflection of how the property compares to the industry standard when it comes to price, facilities and services available. It's based on a self-evaluation by the property. Use this rating to help choose your stay! One of our top picks in Tokyo.ANA InterContinental Tokyo is located in Tokyo’s Ark Hills, a minute’s walk from Tameike-sanno and Roppongi-itchome Subway Stations. The hotel houses 844 guest rooms, 12 dining options and 22 event halls. The guest rooms at Tokyo ANA InterContinental offer choice of views of Tokyo Tower, Imperial Gardens or Roppongi district. All rooms are fitted with a seating area with a flat-screen TV, a work desk and a safety deposit box. The hotel’s 50 feet outdoor pool is open during the summer months. Guests can lounge on the deck chairs at the poolside or get a workout at Ka-Tsu, the 24-hour fitness center on site. The Michelin-starred Pierre Gagnaire serves authentic French specialties with views of Tokyo Towes as a backdrop. Other dining options include Japanese, Chinese and authentic steaks at The Steakhouse. In the evening, award-winning cocktails are served at MIXX on the highest floor of the hotel. The hotel is a walking distance from Tokyo Tower, Imperial Palace and The Diet, the seat of Japanese government. Guests can take an Airport Limousine Bus directly from the airport to the hotel. Narita International Airport is a 90-minute ride and Haneda Airport is a 45-minute ride away. When would you like to stay at ANA InterContinental Tokyo? Elegantly decorated room with modern furnishings and soft lighting, located on floors 7 to 20. Amenities include a flat-screen cable/satellite TV, mini-bar and personal safe. Private parking is available on site (reservation is not needed) and costs JPY 3500 per day. Spacious room equipped with a flat-screen cable/satellite TV, mini-bar and personal safe. They are nonsmoking, and elegantly decorated with modern furnishings and soft lighting. Free internet and fitness center access. Room is equipped with 37" LCD TV. Elegantly decorated, with modern furnishings, soft lighting, mini-bar and personal safe. Bed type and smoking preference will only be assigned on arrival and is subject to availability. Twin rooms feature 43 in wide beds. This room is located on the 28th-31st floor. Decorated with luxury furnishings that are inspired by Japanese motifs, this room feature an espresso machine, free WiFi and fitness center access. Room is equipped with 37" LCD TV, a fridge and a mini-bar. The private bathroom comes with a bathtub and a TV. The hotel will allocate a bed type to the guest on arrival; they are subject to availability and cannot be guaranteed. Nonsmoking and smoking preferences can be requested. Rooms come with free Wi-Fi and fitness center access, as well as a 37" LCD TV. Decorated with luxury furnishings that are inspired by Japanese motifs, this room features an espresso machine, free WiFi and Club InterContinental Lounge access. Room is equipped with 37" LCD TV, a fridge and a mini-bar. The private bathroom comes with a bathtub and a TV. This single room has air conditioning, cable TV and mini-bar. This suite features a mini-bar, flat-screen TV and air conditioning. This suite has a mini-bar, satellite TV and bathrobe. This king room is located on the 32nd-35th floor. This room is decorated with luxury furnishings that are inspired by Japanese motifs and offers free WiFi. Guests staying in this room have free access to Club InterContinenal Lounge. Free bicycle rental and access to the Garden Pool during summer is offered. Boasting stunning city views through floor-to-ceiling windows, this suite room is decorated with modern furnishings and soft lighting. This suite room features BOSE audio system and spacious seating area. Guests staying in this room have free access to Club InterContinenal Lounge. Hotel surroundings – This neighborhood is a great choice for travelers interested in cleanliness, friendly locals and culture – Check location Great location - show map Guests loved walking around the neighborhood! House Rules ANA InterContinental Tokyo takes special requests – add in the next step! ANA InterContinental Tokyo accepts these cards and reserves the right to temporarily hold an amount prior to arrival. The Airport Limousine Bus is available to/from Haneda and Narita International Airport to the hotel. Please contact the property in advance if you are traveling with multiple children. Rooms have a maximum capacity of 3 people (including children) per room. For more information, please contact the property directly. The hotel rooms are a bit small for the price. 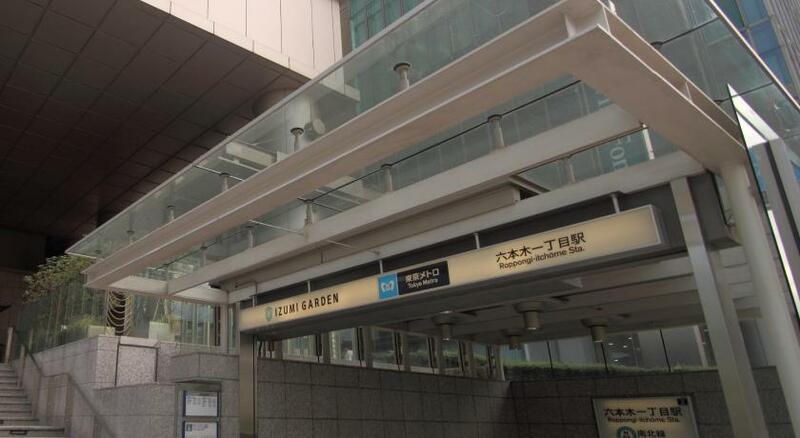 The location was excellent - we were able to walk to Ginza / Roppongi / Shibuya with great ease. The hotel staff was amazing - they were very accommodative and helped to make the stay very convenient. Almost all restaurants close at around 10PM or earlier. Champagne bar with (promo) strawberry offering far below expectations. Spa area not up to 5* hotel standards. Carpets in the room and on the corridors. No windows open for fresh air. Excellent location, exceptional breakfast, comfortable beds, friendly staff. Sakura trees on the street next to hotel. The room needs to be renovated as it doesn’t worth the room price. The first room we checked in smelled like an old rug in a no ventilation space. We got a nicer scent room on the next day after my friend wore a mask to sleep. Location and lots of taxi in front of the hotel. Anyway, I chose to stay here due to the location alone with expectation of a 4-5 star room condition. It’s quite dated. The rooms are small (I know it’s Japan standards) but the room decor is so dark and old fashion, it’s doesn’t help. The bathroom in particular was not nice at all. The staff were helpful and super nice and the lobby area is really nice. Always smells so lovely. Japanese Speciality Lunch and Dinner cuisine for vegetarians. We only got veg food at Curry House and Italian restaurants in Japan. Japan should have more to offer for the vegetarian palette even in Hotels. We are vegetarians and had enough variety to choose from. Specially once you are on the road you realise the vegetarians have a problem with food in Tokyo. The Hotel gave us a good meal before we set out for the day. Julian Cole at the front desk is a Gold Mine. We would go to him with the travel maps and he would set our itinerary for the day. His advise was very helpful for our short visit there. The metro just outside the hotel was a big boon. We asked for a no-smoking room. The room was located on a smoking floor. I believe the previous guests smoked in the room and the staff just removed the ashtrays and turned the AC on to make it a “no-smoking” room. Great pillow. Great breakfast (omelette). Great bar. I was charged 200 yen per night , with a total of 800 yens - accommodation tax, which I had to pay when I checked out on 8/3. They should have included every charges in the initial bill. Are you going to refund me with the extra 800 yens I paid? Breakfast is good. Location in business area, not good for shopping. I didn't like that plates weren't cleared from your table once you had finished - it was very odd - there were many many workers in the restaurant all buzzing around but the first morning my breakfast plate sat at my table for 15 minutes - obviously i had finished - it seemed to be a common thing as i did notice customers getting attention to have their plates removed. This did happen on each morning we had breakfast - must have been wearing my invisibility cloak. the breakfast buffet was lovely - great choice - all staff over the hotel were very welcoming and helpful.